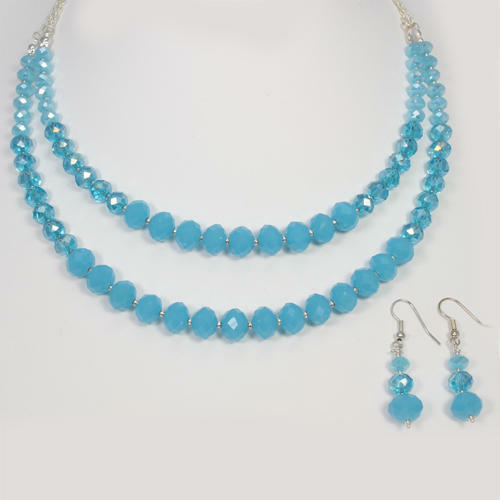 This sophisticated 2 row Crystal rondelle necklace and earring set is a great way to use your beading skills. Simple, easy to follow instructions are included in the kit to guide you through to create this special Necklace and drop earring. Available in 3 colourways – Tropical Sea, Pastel Pink or Summer Breeze – a great way to add a touch of sparkle to your wardrobe.